Prior to September 18, 1947 (the time the US Air Force was formed,) military aviation was conducted by the Army or Navy. Douglas developed the B-18 “Bolo” to replace the Martin B-10; the new model was based on the Douglas DC-2 commercial transport. The B-18 prototype competed with the Martin 146 (an improved B-10) and the four-engine Boeing 299, forerunner of the B-17 Flying Fortress, at the Air Corps bombing trials at Wright Field in 1935. Although many Air Corps officers judged the Boeing design superior, the Army General Staff preferred the less costly Bolo; contracts were awarded for 82-planes, the order was increased to 132 by June of 1936. Though equipped with inadequate defensive armament and underpowered, the Bolo remained the Air Corps’ primary bomber into 1941. Thirty-three B-18s were based in Hawaiʻi with the 5th Bombardment Group and 11th Bombardment Group. One of those Hawaiʻi B-18 Bolos, piloted by Boyd Hubbard Jr, took off from Hickam Field at 7 pm February 25, 1941 for a routine inter-island night instrument-navigation training flight. Three other B-18s trained with them that night. Although all possible fuel and cargo was jettisoned, the aircraft was too heavily loaded to maintain altitude on one engine. As the aircraft descended the other engine began sputtering. The crew believed they were over the ocean at the time in heavy fog during the dark night. Hubbard made a last split-second correction prior to the crash. As he later described it, the mountain just loomed up before him in the darkness and he just reacted. He pulled back hard on the wheel and the aircraft stalled and belly flopped into the thick underbrush. 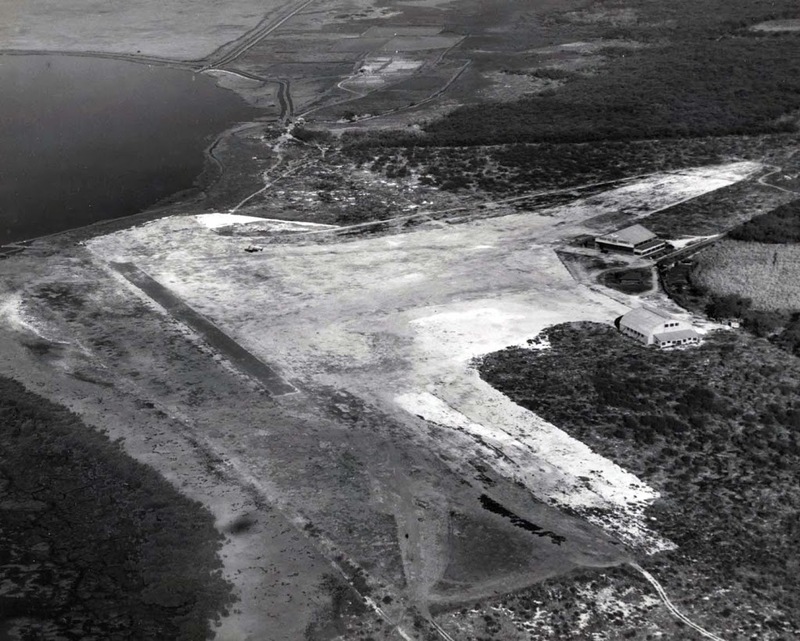 The next morning at dawn a search was launched from Hickam Field using 24 bombers. 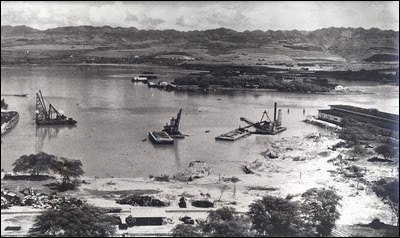 The wreck was soon spotted and an airdrop from Army planes provided the downed crew with blankets, food and hot coffee. They took the Kohala Ditch Trail on horseback for 2 ½-hours, then had to cut a new trail on foot for 8-miles through marshland and heavy brush for another 4-hours before nearing the crash site. The plane sat since on the side of Kohala mountain, just west of Waimanu Valley. While various internet reports suggest Pacific Aviation Museum acquired the plane and has plans to restore and display it, the Curator of the Museum noted to me that “the plane is not ours”. It continues to sit on the slopes of Kohala in Hāmākua. 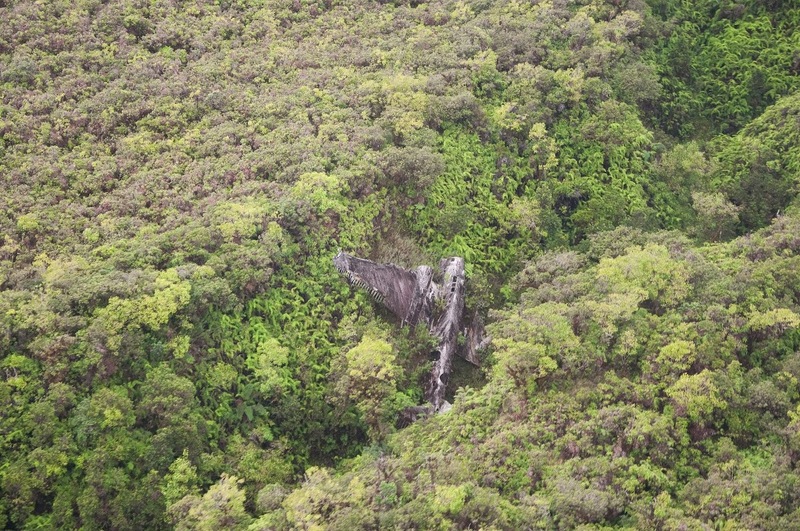 The image shows the downed B-18 in the Hāmākua wilderness (Beeder.) In addition, I have added related images in a folder of like name in the Photos section on my Facebook and Google+ pages.